Great Britain men's sledge hockey team kept alive their dreams of qualifying for the Sochi Winter Paralympics by claiming qualifying bronze in Japan. They defeated Estonia 3-2 in their World Championships Pool B qualification tournament third-place play-off match. A brace from Gary Farmer and a goal from Tyler Christopher saw GB power into a 3-0 lead. But British goalie Robin Gaze had to make a total of 17 saves to hold off a fierce Estonia fightback. 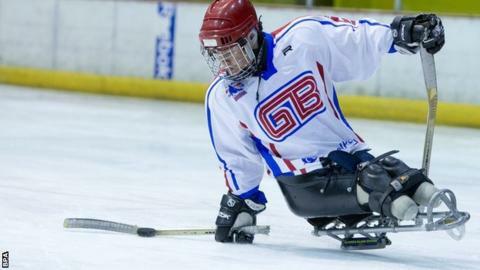 GB will now progress to the final phase Sochi Paralympic qualification competition later in the year. Christopher opened the scoring at the 13:58 mark in the first period, finding the net from an assist from Matthew Clarkson and Ian Warner on a power play. Farmer then scored two goals early in the second period, both assisted by Clarkson. Despite goals from Rasmus Penno and Kaido Kalm, GB held on to win the match. Germany defeated Japan 3-2 for gold in Saturday's final, with two goals from Frank Rennhack proving decisive.